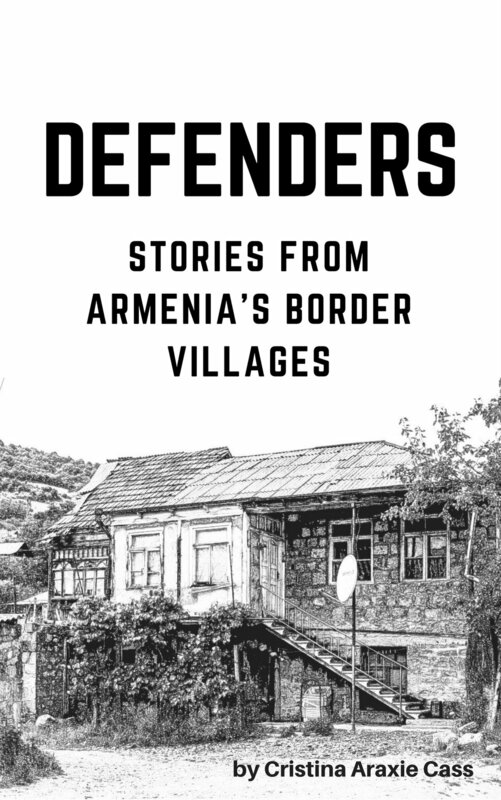 We're excited to announce the release of our new chapbook Defenders: Stories from Armenia's Border Villages, a collection of short stories based on the people we met and interviewed in Tavush. You can buy print books or ebooks at rebirtharmenia.com/books and you can read a preview of one of the short stories below. The furniture was all pushed into one side of the house. It had to be, even though today was the day of Anahit's party, because the eastern side of the house was too easy a target for Azeri fire. But on the western side of the house, the dining room table was full of cheese, bread, meat, vegetables, wine, and vodka to celebrate Anahit's victory. "I would like to raise a glass," Anahit looked over and saw that it was Garegin, a family friend who had stopped by on his way back from his military post. "First of all to our champion, Anahit, number one shooter in all of Tavush." Everyone cheered and Anahit blushed, pushing her dark brown hair back from her face. "And second, to everyone who fights for our country. May God bless our soldiers, and give them strength to protect us so that one day, we may live in peace." Everyone clinked their glasses and drank the homemade vodka. Anahit was sitting right next to Garegin and her father, so she found herself in the middle of their conversation. "How are things on the border?" her father asked. Garegin shook his head. "They've been shooting more lately—I'm sure you know." Her father nodded. "We had to fix the roof yesterday, they hit it again." Garegin sighed. "And we're under orders from our government not to fire back. They don't think of our safety at all." "But you know the Azeris have their posts in the villages. How could you shoot without killing civilians?" Garegin shrugged. "There's no way." "And you know the Azeri civilians don't want this either. That dirty Aliev is forcing them, hell, he's even using them as human shields!" "I know," said Garegin resignedly. "And I don't want to kill them either—none of us do. But what are we supposed to do? Just sit back and get shot?" He turned to look at Anahit and ruffled her hair with a smile. "But it's a good thing we have smart girls like Anahit. You can be a sniper one day." "Khachig told me that girls make the best snipers," Anahit's little sister Anoush piped up excitedy. "I bet you'll be the best one in all of Armenia." Anahit looked at her little sister and smiled sadly. Anoush had always been fascinated by military training, ever since Anahit had started the class at school. Anahit remembered the first time she had seen her little sister peeking through the window of the defense classroom. That day, when they had both come home, Anoush had started asking questions. "Anoush-jan, everyone in Tavush has defense training in school. It's in case the Azeris invade, then we will all be able to protect our families. You'll learn to shoot too, when you turn fifteen." Anahit had explained.